The award-winning OFC Just Play Emergency Programme has extended to help the Qamea community cope with the emotional effects of a recent natural disaster. Qamea is a remote island near Taveuni, off Vanua Levu, which was recently hit by a landslide that has rattled both adults and children alike. 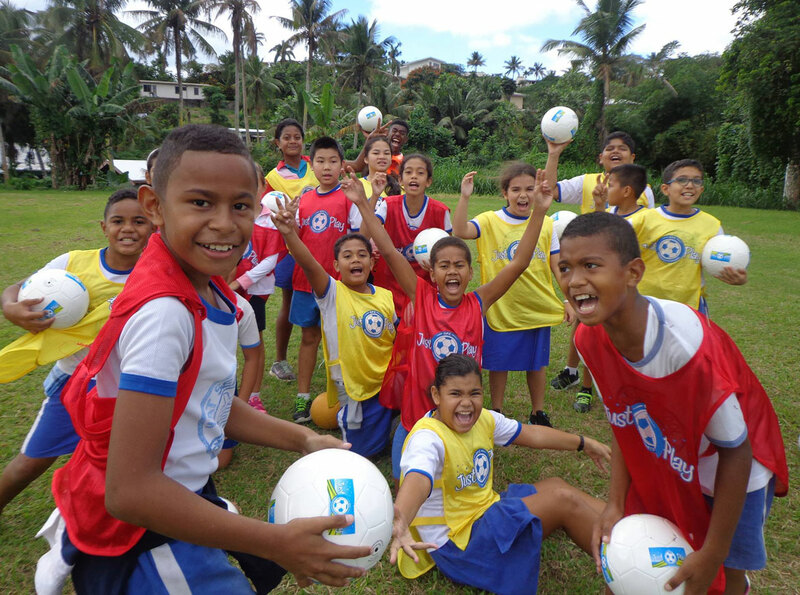 Fiji Football Association, in conjunction with UNICEF and OFC, decided the Just Play Emergency Programme would be the perfect solution to help aid the emotional recovery of the children through play. The team of five volunteers targeted four primary schools on the islands and more than 10 communities over the past two weeks. Using the Just Play programme model whereby football becomes a tool to communicate critical emergency-focused messages around safe water, personal safety, preparedness and how to deal with emotional issues resulting from a trauma, the emergency programme has been well received. Just Play Emergency Programme coordinator Jope Tamanikaira said the children enjoyed the sessions and parents and teachers expressed their gratitude for the introduction of the programme.